This addon allows you to display your text with eye-catching typing animation. It's built with the ability for you to customize font styling, adjust animation speed, and text highlight styling. The Typewriter addon is perfect when you want to emphasize various text messages on your site. In addition to it's many cool features, it also comes with the ability to insert an unlimited number of text that will overlap once the first is finished showing. 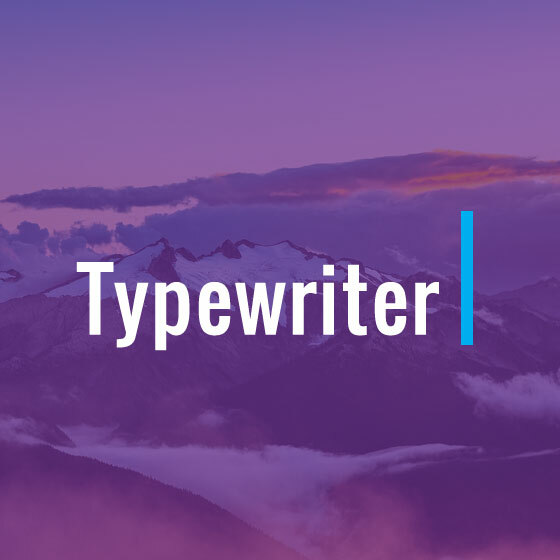 Check out the Typewriter demo page and see it in action!